Fiber Laser Marker series is the recent R6D result of Han&apos;s Laser. It is equipped with fiber laser generator for marking on metals and some non-metal materials. Fiber Laser Marker series has the advantages of compact design, high beam quality. Additionally, its electrical-optical conversion rate is ideally high. Fiber Laser Marker series is mainly used in the fields that need high marking depth, smoothness und fineness. 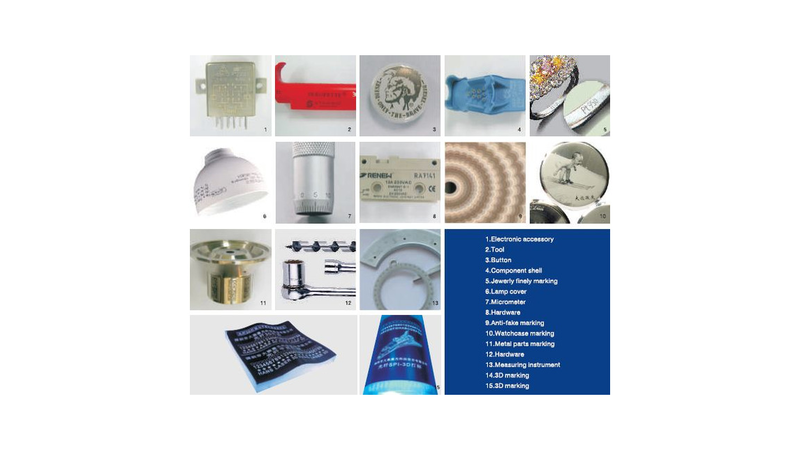 For example, this series can be used in watch and clock industry, module industry, and bitmap marking industry.Industrial ApplicationFiber Laser Marker series is widely used in the marking of electronic components, Medical devices, watches and clocks, IC cards, Jewelries and etc.